We’d love your help. 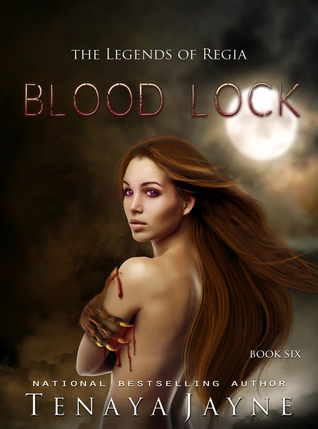 Let us know what’s wrong with this preview of Blood Lock by Tenaya Jayne. On the eve of the Savage Solstice, the werewolves hold a tournament. A fight to the death. The victor After her sister’s brutal murder, Sabra swore vengeance. But now, her brother has sold her as mate to the highest bidder. Defiant of the custom, and unwilling to submit, dangerous trouble lies ahead. In order to survive, she’s forced to accept the help of her mortal enemy. To ask other readers questions about Blood Lock, please sign up. Hello, has this book been published yet? And if yes, where can I find a copy? Thanks a lot. Debbie Yes. It is available on Amazon right now. Boy did I want to scream when I read this one. The werewolves... I normally root for werewolves in almost all stories I read. This is one of those stories where I didn't root for them. Their way of life is totally barbaric. I'm normally not what I call a feminist. I do like an alpha male that takes charge. I have always wanted to be a housewife because that is what I want to do. But this book made an inner female warrior want to rip heads off of bodies. The men have total control over women. Women Boy did I want to scream when I read this one. The men have total control over women. Women have no rights. If a woman talks back or does something that doesn't please the male, the male can either beat her or lock her underground. Women can't choose their own mate. It is an arranged mating by the head male of the house. Sabra is tired of the way things are. With Philippe dead a new alpha is to take place. A tournament will be held and Sabra will put her name in it. Unfortunately her brother and destined mate have other things to say about it. Sabra will have to work with Shreve to stay alive till the tournament so she can make things better for the women of the pack. While Sabra is fighting for she-wolves rights, Forest and the rest of Regia are trying to figure out what to do when the wizards come. Forest is trying to handle this and with Tesla being the way Tesla is, Forest is having a hard time coping. This tale gets better each story told, I totally enjoyed reading it. I will purchase the next and final book to see where it leads to, hoping it creates further tales of intrigue. Blood Lock is a fabulous, gripping story, an excellent addition to this imaginative and well-written series. I love, love, love Sabra and Shreve. Love the conflict they are faced with, and the strength and fortitude in each of them. The journey into the werewolf world was exciting and interesting. I enjoyed this story immensely, from the opening to the nail-biting showdown. I really enjoyed Sabra's story. The fact that she felt what she was destined for, how she fought against the confines of the norm for her society. And of course Forest and Syrus' story continues, they are not forgotten has the series progresses with other characters. This series is a great collection and a must read for anybody that loves to read series. The characters and storylines will not fail you. This was a great read. I'm about to go in search of the next in the series. You need to read this yourself. This was a good story about what happened to Shreve. So bummed this series is coming to an end. Such a great read. The individual stories were so captivating. I can't wait to see what will happen next. How Telsa will save Regia. It's no secret I love this series and have been waiting, waiting and waiting for the werewolves story--it didn't disappoint. It rocked! This is a must-read--one that you shouldn't even wait to start!!!! I will talk about Shreve and Sabra momentarily, but first I have to talk about the one person who stole the book and my heart--Tesla. Tesla moves from baby to teen through her own unique blend of magic, but her heart grows even faster. Born from powerful parents, she defies all expectations of power, becoming so much more powerful that she even out does Raxharis. Sweet, sassy, and the weight of the world on her shoulders, Tesla delivers. The relationship between Tesla and her family is special, but none more so than Forest. I could feel Forest's struggles and wanted to reach out and hug her as she tried to mother a child destined for greatness but who was burdened with pain from the damage the poisons did to her. Forest begins as a loner with next to no family and I love seeing how her family continues to expand. Shreve, yes that former bad guy, and Sabra shake up Regia with their love and their plans for the future. Sabra is the feistiest heroine since i met Forest in Forbidden Forest. Her personality and attitudes jump off the page making you her champion from page one. Shreve surprised me as the hero--I never even expected it after the last book ended. Moving from creation to person, Shreve stole my heart and made me cry when he was willing to give up everything, even his life, for the survival of Regia. Jayne has outdone herself yet again! What a great read! Sabra swears revenge on the only person she can connect with the regarding her sister's murder. As a werewolf, she lives in a culture that regards women as property. Sabra wants to make a difference and prove women are worthy. 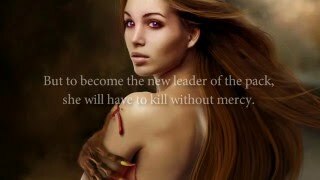 As her brother is selling her to a werewolf who wants her subdued, she fights for the right to change her culture. Shreve is dying. Before his last breath, he wants to redeem himself of all his wrongdoing. While in the Jayne has outdone herself yet again! What a great read! Shreve is dying. Before his last breath, he wants to redeem himself of all his wrongdoing. While in the midst of deciding which of his many parts he wants to live as, he finds he is mesmerized by the one person who hates him most in all of Regia. I would recommend this whole series to everyone !! You just can't put it down because it is so good. You just need to know what comes next. Can't wait for the next book !! This plot is full if twists and turns. Great read, really pulls you in for more. Hard to put down. Absolutely loved this book. I don't know how Tenaya does it every time! Can't wait for the next book! I loved this book. The series. This author. I cannot wait to find out how Tesla saves Regia. This will be epic! I enjoyed reading every book in this series so far and looking forward to more!! What an amazing read!!! Love, fights, and a remarkable child!!! Sabra came into her and I'm very happy for her!!! Great book again!!! I chose this rating, because the book is well written every line I can transport myself into the story. This author has great imagination. This was a really good read and I enjoyed it. The characters are awesome and it was lovely getting to know more about Shreve. A definite must read.